Michelle, I love the images. Did you take those? 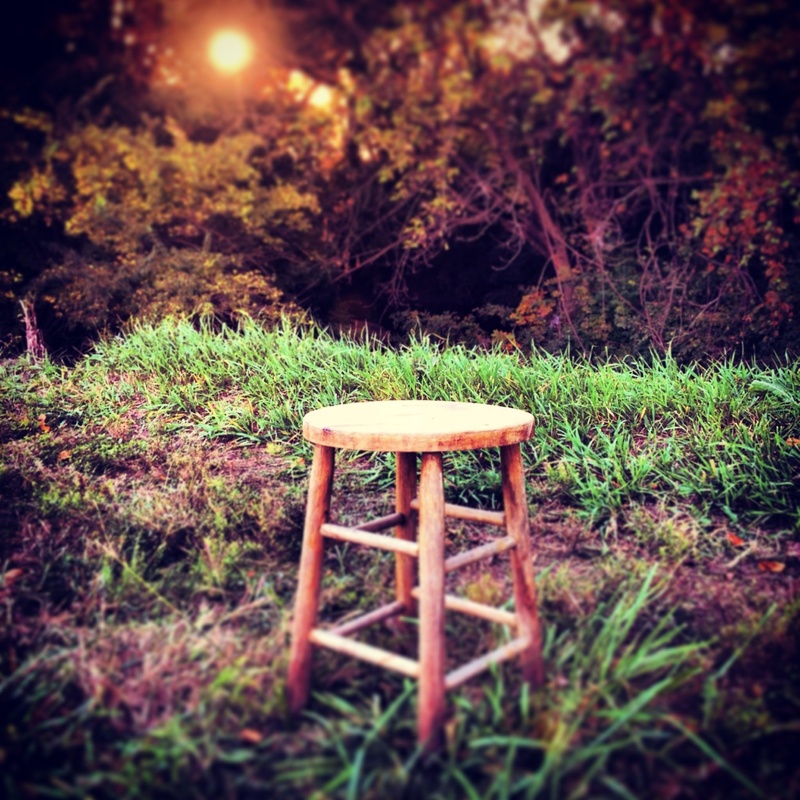 The stool in the field with the sun setting (rising) conjures up all kinds of thoughts. 😀 Also wanted to mention that I think Lewis Carrol was brilliant. Did you know he had temporal lobe epilepsy, and that this disorder served to enhanced his writing and imagination due to abnormal electrical activity in his brain? Hypergraphia is a symptom of TLE. Also, Edgar Allan Poe and Vincent van Gogh and many more famous people in the arts. Didn’t mean to take this OT, I just saw so much insight in human behavior in the AIWL. Hahah — I laughed out loud loudly at your comment about Hubby and his reaction. Surely he understands what madness is? I mean, after all, he worled for CC all those years. I think he’s in denial?! You tell him I said so. Laughing loudly here, too. I’ll tell him for you…as soon as his retired tush gets out of bed!!! OMG — STOP! Tears are flowing down my face. I used to have a stool just like that that sat in my garden with an old teapot on it that I planted snapdragons in! I collect random mismatched teapots, tea cups, and saucers (seriously, I have a preference for older cracked and chipped ones even lol). I’ve always just done it without a thought as to the why, it just hit me; The Mad Hatter’s Tea Party! Wow, I really am mad as a hatter LOL! That is completely awesome. Synchronicity is so much fun. The little teapot in the pictures is my only one. It’s ancient! It belonged to a rich aunt and she let me play with it. They had a huge fire–burned their house to the ground. She found the teapot in the ruins and gave it to me. I love it to this day. 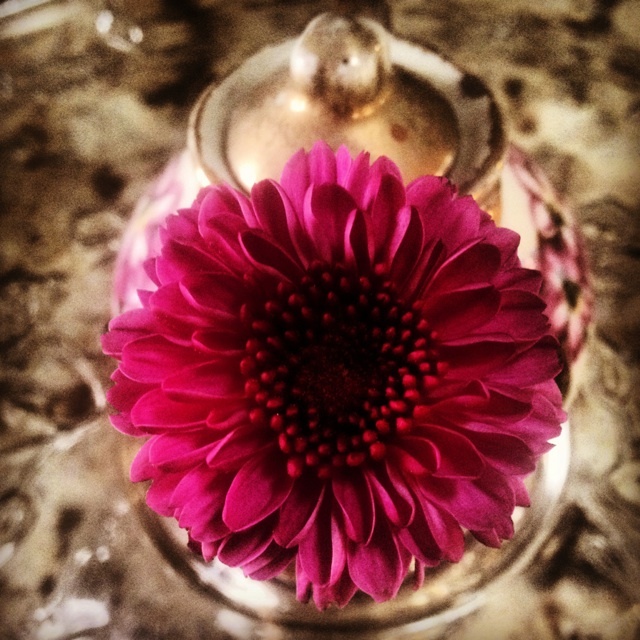 I can imagine how awesome your collection is–stools, teapots and snapdragons. We would have had fun summers! Have a great week Jennie…I have GOT to get out of Wonderland and get some stuff done! !